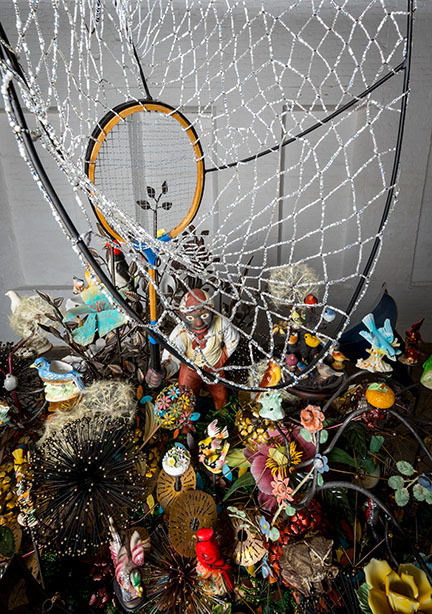 “Cave uses MASS MoCA’s signature football field-sized space to create his largest installation to date, made up of thousands of found objects and millions of beads, which will make viewers feel as if they have entered a rich sensory tapestry, like stepping directly inside the belly of one of his iconic Soundsuits. 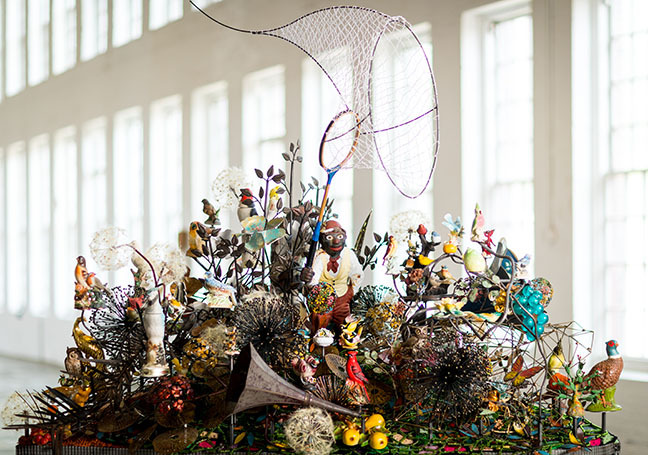 Often seen as celebrations of movement and material, the first Soundsuit, made out of twigs, was a direct response to the Rodney King beating, a visual image about social justice that was both brutal and empowering. 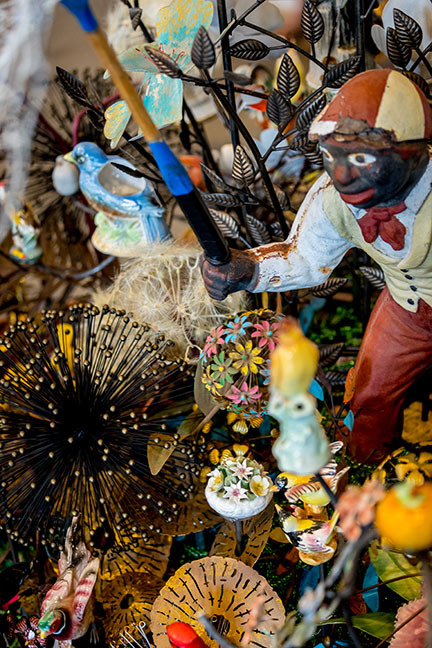 Just as the violence around the Rodney King beating was the impetus to Cave’s early work, the death of men such as Eric Garner, Trayvon Martin, and Michael Brown drive his new imagery. 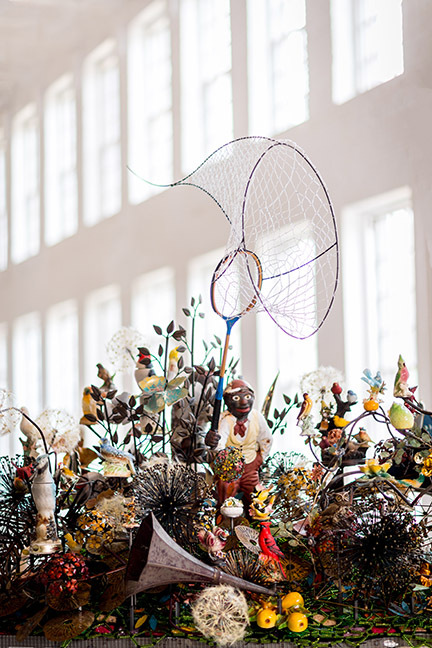 For Cave’s MASS MoCA installation, Until — a double play on the phrase “innocent until proven guilty” or in this case “guilty until proven innocent” — Cave addresses issues of gun violence, gun control policy, race relations, and gender politics in America today. 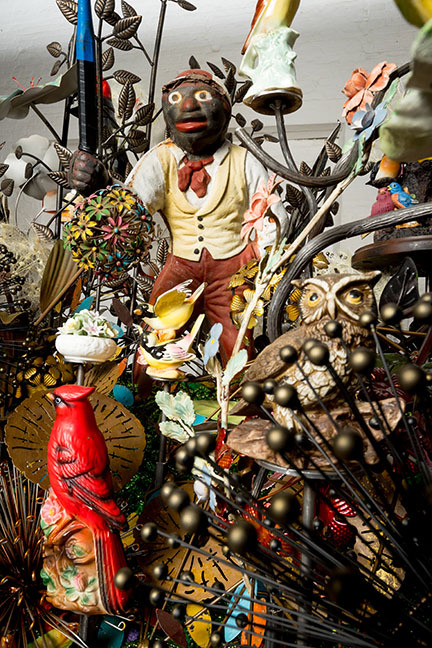 “I view this work as a theater set, or an elaborate community forum, as much as a work of sculpture” — Nick Cave. 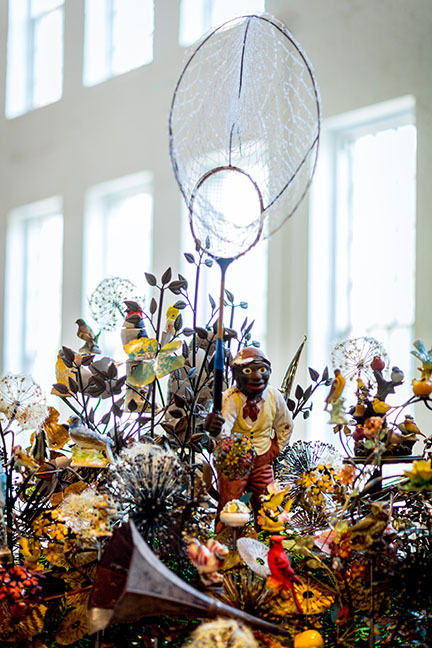 Nick Cave: Until was organized by MASS MoCA and co-produced by Crystal Bridges Museum of American Art of Bentonville, Arkansas, and Carriageworks of Sydney, Australia.